It’s a giant, monocarpic plant: after several years it diverts all its energy into producing a spectacular flowering scape which is fertilized by humming birds. Afterwards it dies, leaving only its children to mark where it once thrived. The plant takes no chances, multiplying from small offsets that form around the base and from thousands of cross-pollinated seeds that bounce down from the sky. 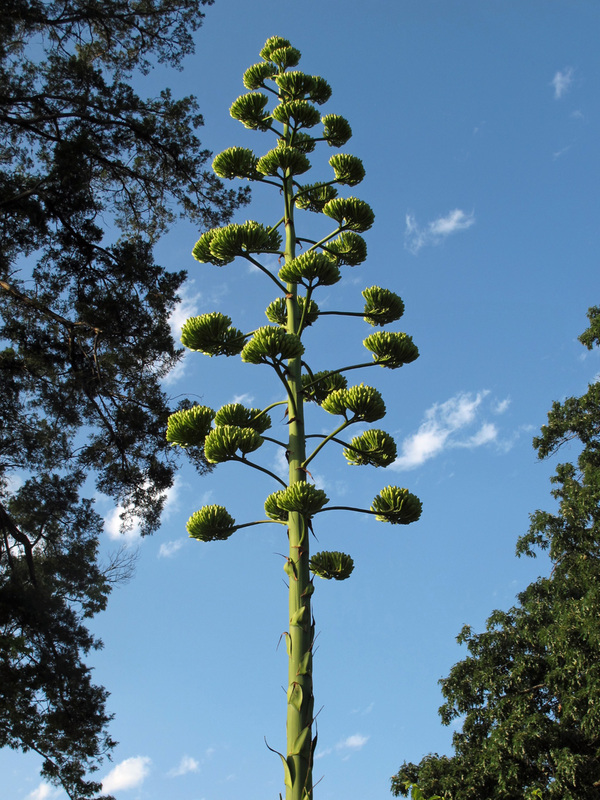 The post inspired me to share my own picture of an agave I saw in flower earlier this year in a more natural habitat: the grounds of a Mexican restaurant in Nocogdoches, Texas. A sister plant was also in flower at the same time, twenty feet or more away in the car park. We’ve all heard the saying ‘a weed is a plant out of place’ – the plant celebrated in The Frustrated Gardener’s post certainly is out of place, though few people in England would define it as a weed. After years of living as a coddled clump of leaves in a foreign glasshouse, it’s finally made one last bid for freedom, growing at times at over a foot a day. How lovely that its custodians thoughtfully helped it achieve its full potential as a flower by removing a few panes from the 19th century glasshouse! It’s as well that the English Agave americana isn’t pinning all its hopes of surviving to the next generation on finding hummingbirds here to pollinate it. When researching this post, I hadn’t expected to find nectar-loving birds in England. How ignorant can one be? I’ve often watched bullfinches stripping flower buds from trees, but I was surprised to learn that many of our songbirds drink nectar. As someone fascinated by marketing, I tip my hat to a plant that has mastered the art of advertising. 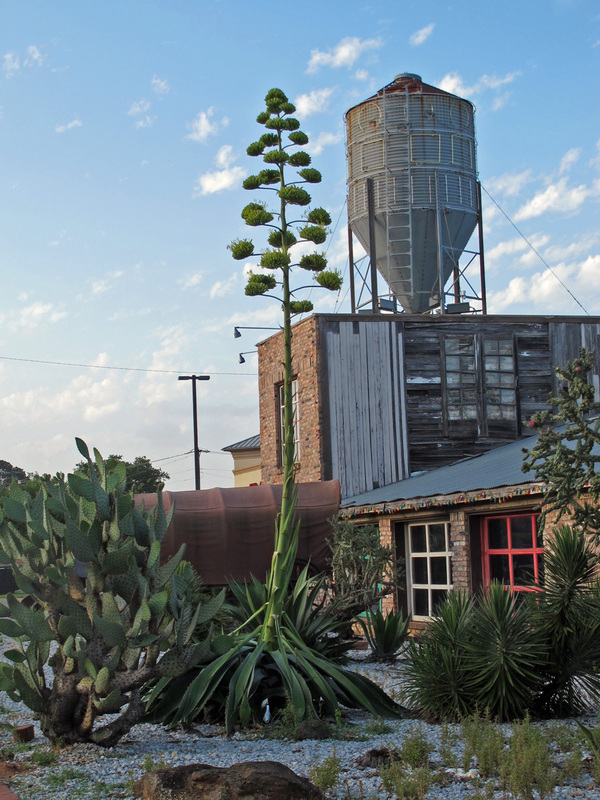 The stately scapes don’t just attract hummingbirds and pollinators: few by-passers will miss a century plant (one of their folk names) in flower. 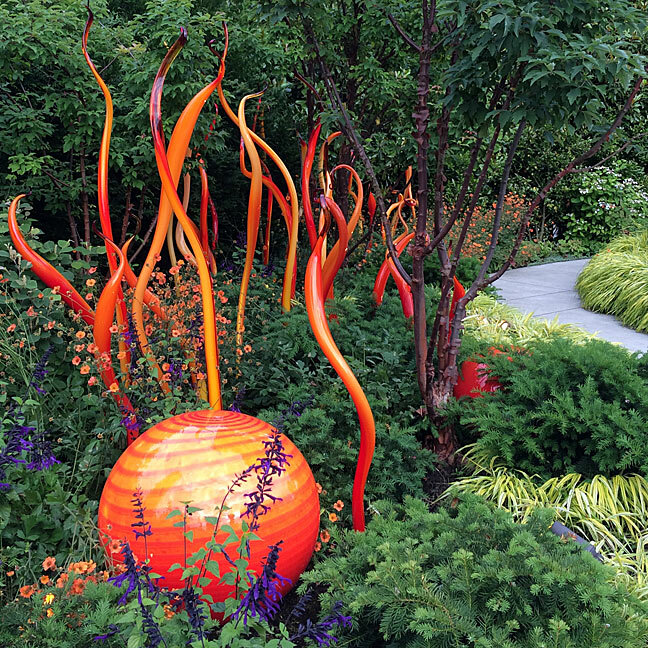 Even in America where these plants are relatively common, news of a flowering plant rapidly spreads through the community by word of mouth and can even make the local press, attracting a string of visitors. 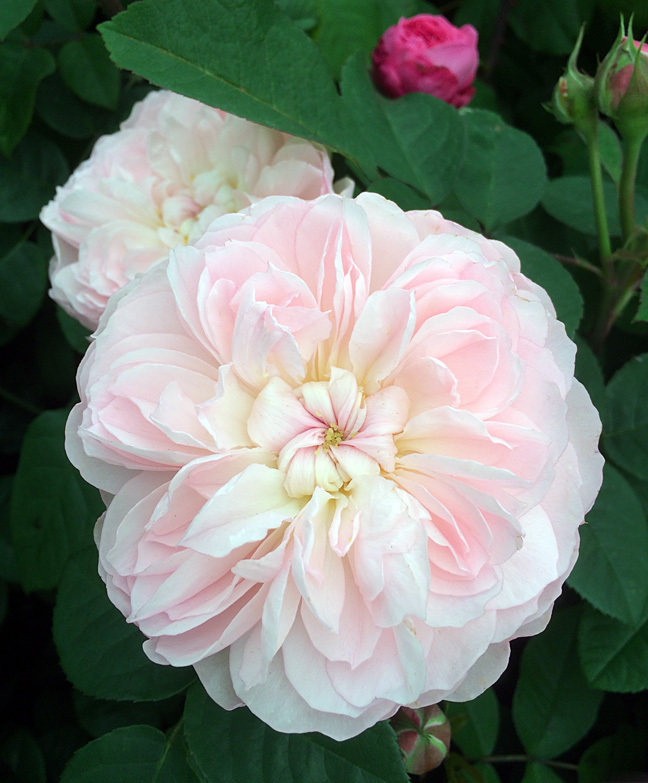 The English plant wangled its way into The Daily Telegraph – not too dusty! I’m sure several of its progeny will find new homes as a result of the articles about it – the gardeners are even using the power of the press to appealing for anyone who can make use of the flower stalk afterwards, helpfully suggesting it might make a nice didgeridoo! Despite having seen two of these agaves in flower this year, I still found myself checking the mileage to see how far it would be from my Lancashire home to the plant in King George VI Memorial Park, Ramsgate, Kent to get my hat trick – it’s 315 miles. What do you think? 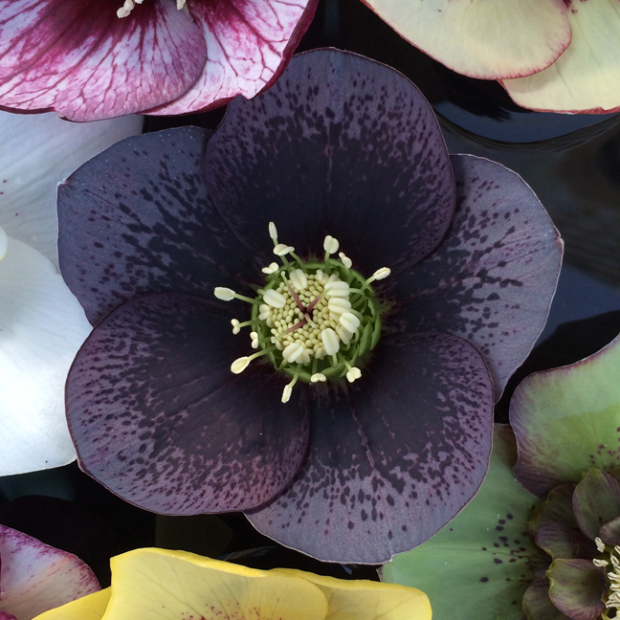 If you’re tempted to visit yourself – please check the plant’s still in flower before setting out! 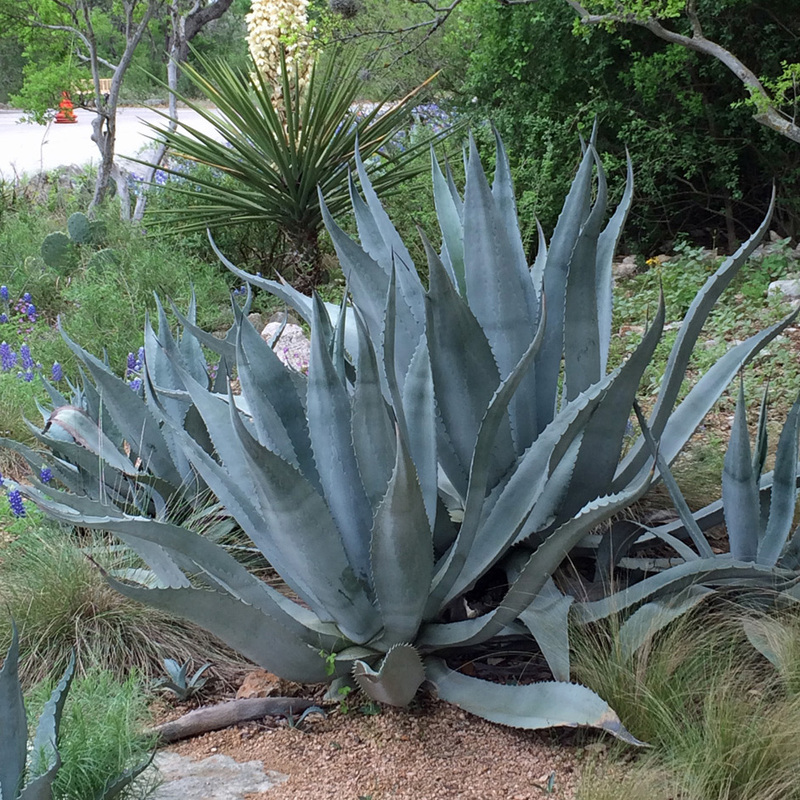 My pleasure – my fingers are crossed for your agaves! I have several… the main one in about it’s fourth generation. The blooms are exciting, the dying sad, the new birth again welcomed and watched!